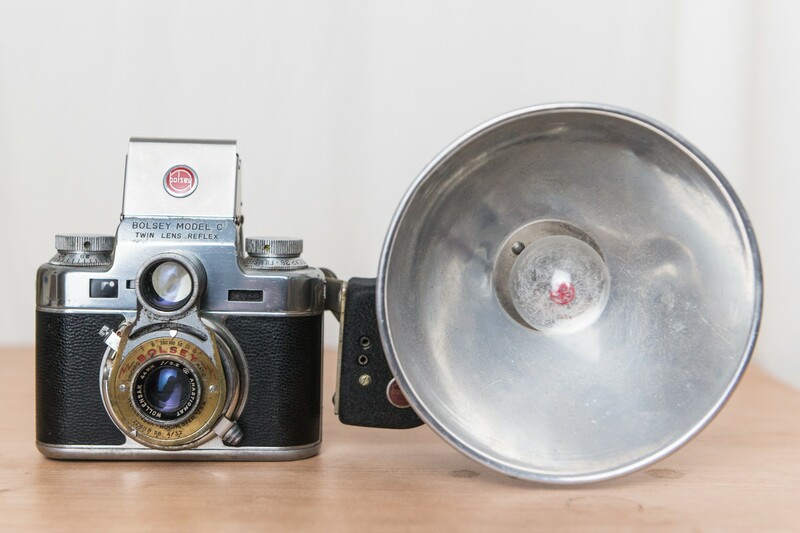 If ever there was a camera that fit my preferences for something unusual, this is it. And it took me a long time to find one. It’s quite popular as a collector’s item in Japan these days and they’ve gotten harder to come by. The Bolsey C was produced in the U.S. starting in 1950. It’s a 35mm TLR AND it has a rangefinder so you can choose which viewfinder to use. Weird.